1,100 (roughly) miles between Anchorage and Nome, Alaska. 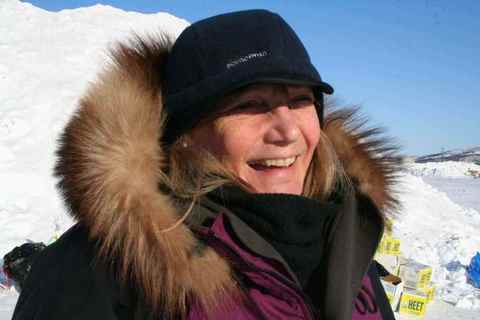 The Iditarod is known as The Last Great Race on Earth, combing man and beast with some of the harshest, most extreme Northern climates and biospheres. 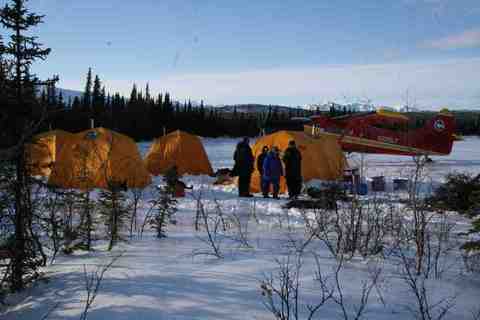 Starting the first weekend in March, the winners complete the race in less than 10 days, but it's not over until the last musher crosses the finish line. Fly over the race trail from start to finish and watch up close and personal as the teams travel through Native villages, and across Alaska's vast wilderness in a feat of daring, talent and extreme courage. 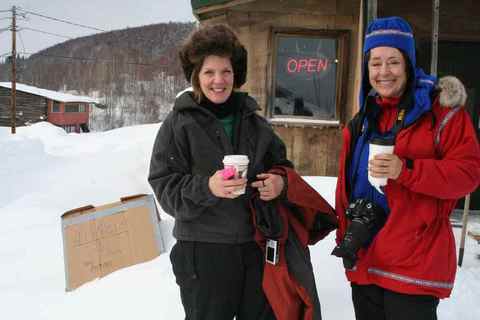 You will have the opportunity that very few race enthusiasts get to experience, to interact with the people who live in these remote places, the mushers themselves and the volunteers from all over the world who come together to make this event possible. Portions of the historic Iditarod Trail were used by the Native American Inupiaq and Athabaskan peoples and sled dog teams hundreds of years before the arrival of Russian fur traders in the 1800s, but the trail reached its peak between the late 1880s and the mid 1920s as miners arrived to dig coal and later gold. Even after the advent of the airplane, dog teams continued to be widely used for local transportation and day-to-day work, particularly in Native villages. 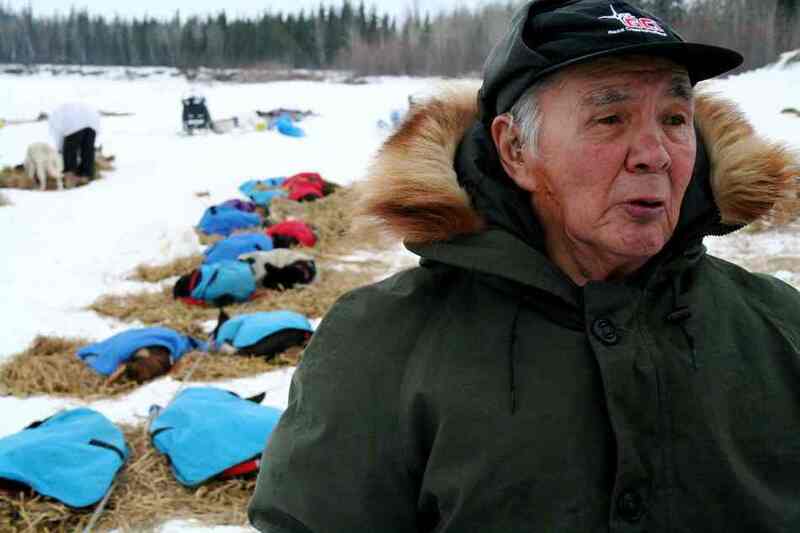 Mushers and their teams played important but little remembered roles in World War II in Alaska, particularly in helping the famous Eskimo Scouts patrol the vast winter wilderness of western Alaska. Today Alaska is the world Mecca for sled dog racing, which has developed into a popular winter sport in the "Lower 48", Canada, Europe, and even Russia. 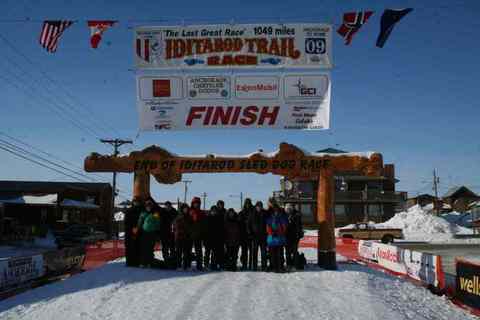 Mushers from more than a dozen foreign countries have run the Iditarod. 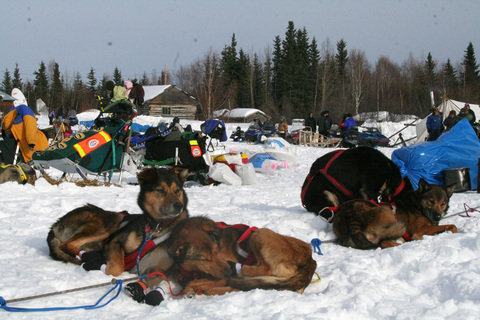 The race is really a reconstruction of the freight route to Nome and commemorates the part that sled dogs played in the settlement of Alaska. The mushers travel from checkpoint to checkpoint much as the freight mushers did eighty years ago—although modern dog drivers move at a pace that would have been incomprehensible to their old-time counterparts, making the trip to Nome in less than ten days. The original route would take over a month to complete. We've been flying and watching the race for over 25 years and when you travel the trail with us you benefit from that experience and knowledge. Ellie Gray, at 18 years old, realized a life long dream by completing the race in 2004 as the youngest woman musher in race history. 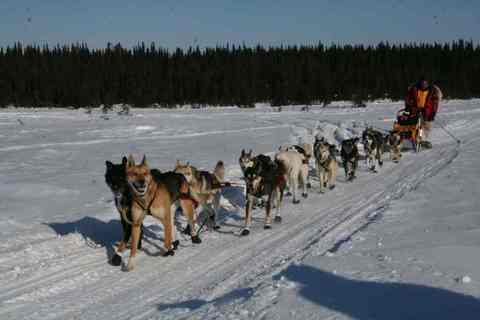 As a family, the Clauses have been involved in the sport of dog mushing and the Iditarod in particular for decades. 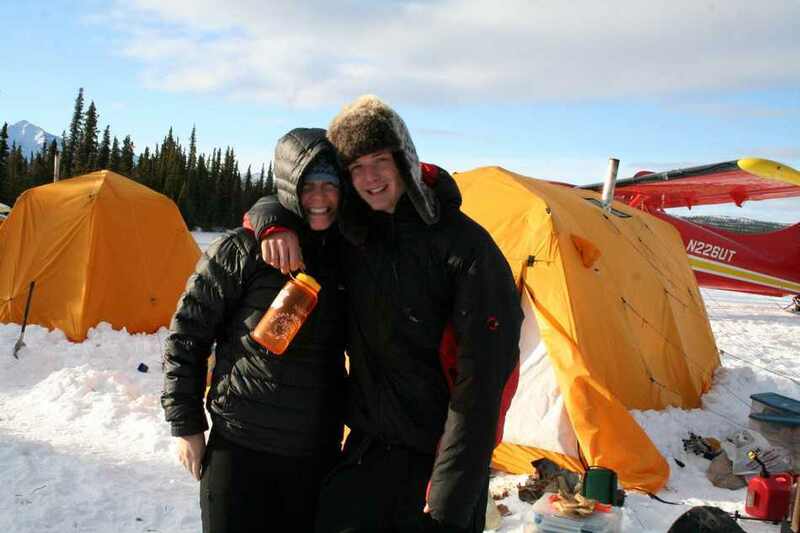 The Alaskan winter is a harsh and unforgiving season and requires good planning and savvy skills just to survive but we take it to the next level and give you the most authentic experience with the most comfort possible. Many variations of a typical start to finish trip are possible based on your personal desire to experience winter comfort camping, sleeping in various village schools or complete comfort at select high-end lodges along the trail. Our trips are all-inclusive with private guiding, savory meals cooked along the trail or enjoyed in the villages, accommodations of your style choice and all the flight time from start to finish. Typical trips begin on start day (first Saturday in March) in Downtown Anchorage and end when the first musher crosses the finish line roughly 10 days later in Nome. 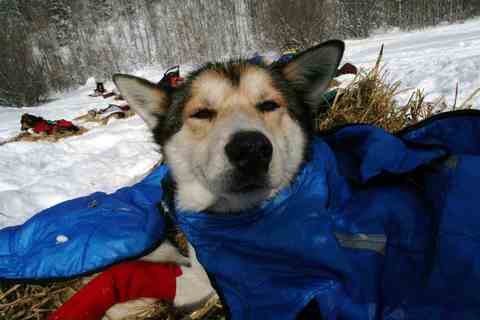 Do you sponsor a specific musher or are you rooting from someone in particular? This is a perfect opportunity to follow that person up close. 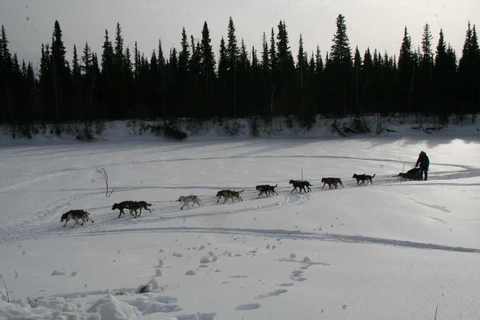 But even if you've never heard of the Iditarod before and know little of dog mushing in general, this trip is guaranteed to captivate and inspire you. It truly is "The Last Great Race on Earth" and the adventure of a lifetime for racers and spectators alike.